Foreign investment in Spain duplicates in 8 months. Why? Recently, the Economy Minister Luis de Guindos has revealed that foreign investment in Spain has doubled between January and August 2013. Until August had reached 19,000 million in direct investments, compared with 9,000 million recorded in the same period last year. When he was just saying that, Microsoft co-founder Bill Gates has made a big bet on the recovery of Spain’s construction sector by becoming the second-largest shareholder in FCC, a Spanish builder hit hard by the collapse of a decade-long property bubble five years ago. He has acquired 6 per cent of its treasury shares for €113.5m. What are the reasons for this increased investment?. Apart from the classic reasons that have made Spain the 2nd most popular holiday destination in the world (Tapas, 300 days of sun every year, cheap and simple access via low cost airlines, solid infrastructures, security, etc), it does seem that there are new ones that are setting this trend. The housing bubble that spurred an entire country exploded in 2008 and since then prices collapsed in a steady decline is not yet known whether it has bottomed out with a “Bad Bank” which brings more toxic assets at bargain prices. According to an “investment guide” of BNP Paribas, there are several reasons to invest in real estate in Spain successfully, including the own price of real estate assets located in its lowest level in recent years and represents a “unique opportunity” and just for the future return on investment in terms of economic recovery cause a spike in prices. In Spain, labour costs, according to Eurostat, is down since 2008 while in the other European partners increased between 5 and 10%. A workforce 30% cheaper than the average of the Eurozone it is very tempting for foreign companies. The purchase of properties from more than 500,000 euros by foreigners will entitle them to a residence permit for two years. This clause is designed to “avoid embarrassment” to these foreign citizens having to leave the country every ninety days to renew their visas. Large companies believe it is time to invest in Spain because the activity will start to grow in 2014 and foreign investors can purchase prices opportunities that will best when the economy strengthens. Its privileged position makes it an ideal platform for conducting international business: it belongs to the European Union, is the gateway from the north also with South Africa because of our close historical and economical. 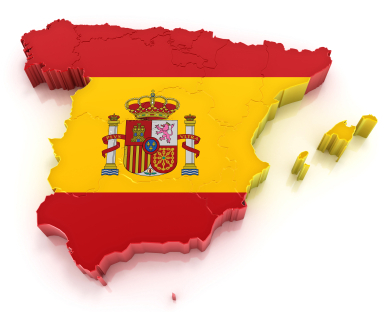 Starting a business in Spain is not difficult. The types of companies are in line with those in other OECD countries and there is also a wide range of possibilities, which meet all requirements. We must also emphasize almost total liberalization that governs foreign investment and exchange control, in line with EU rules. The reformist path, the announcement of the European Central Bank’s plan (OMT) to buy debt in the secondary market, or the defense of the euro (in its irreversibility) by eurozone partners have reduced uncertainty and recovered confidence of investors in our country. Since the suspicion touched last summer background with a runaway premium that exceeded 600 basis points, now it remains at levels around 300 points and interest paid on the debt are therefore lower. A Matter of Trust recovered reflected in the increased investment. Most global investors rely on increasing the attractiveness of Europe. “60% of executives from BRIC countries and 45% of Americans are confident that Europe will be a more attractive destination for investors in the coming years,” noted in the document. Moreover also stressed that the imminent risk of rupture in the Eurozone, which, as mentioned in the previous point, weighed heavily in the past year, has now been diluted. “Although the eurozone crisis persists, the international business community believes in the strengths of the area and consider that Europe is a reasonable long-term bet,” argued Marc Lhermitte, Partner Consulting and author’s own report. Labor reform alone will not create jobs but introduces the basis for international companies have more ground to present their policies and decide to come to Spain. Economy Minister Luis de Guindos, considers labor reform, in addition to the adjustment measures, are able to attract foreign investment, and in this sense the minister pointed out the example of Ford’s decision to increase its production in Valencia or Renault and Nissan decided to reinforce its commitment to Spain. Spain has one of the most modern legislation on patents, trademarks and industrial designs, according to the Observatory defends Mark Spain. An example of this is that our country is the world’s second most renewable energy patents per capita, only behind Germany and ahead of the United States, and especially noted for his innovation in the sun, which focuses 43% of the total, according to the latest report by the Spanish Patent and Trademark Office (SPTO). On top of that, the economy numbers in Spain shows that the recovery is not far away. Since 2009, the divergence between Spain and the core countries of the euro zone has been to a large extent corrected: inflation, which peaked at 4.3 percent in 2008, was negative in 2009 and is less than 3 percent today, despite sharp increases in indirect taxes; the spread in unit labor costs with respect to the euro zone average, which was 19 percent, is now 9 percent, both across the whole economy and in industry. The current account deficit, 10 percent of GDP in 2007, was less than 2 percent in 2012. Sources of growth exist, however: first, a healthy export sector that has increased market share throughout the recession; of these exports, steel and chemicals make up for 26 percent of the total, followed by capital goods (20 percent) and automobiles (17 percent); food products, Spain’s traditional source of foreign exchange, are now only 16 percent of the total. Second, there is a return of confidence in the stability of the Spanish economy and in the resolve to pursue reforms. So is not only the government and the Bank of Spain are saying it. Authorised voices confirm that, in short, in 2013 Spain may start to get out of the slump. If so, it will be slow progress, but progress. A long way, but upwards. NON-RESIDENT PROPERTY OWNERS. TAX AUTHORITY IS LOOKING FOR YOU !! !